This is a version of the classic brick-breaking game written in LUA, making use of the LÖVE game framework. It is written for LÖVE 0.10.2.
hand-coded physics with freely movable player bat, (in)elastic collisions, gravity etc. Player 1 controls with the mouse. Player 2 controls with cursor keys plus shift for turbo, or gamepad (any button is turbo). Pre-compiled executables for Windows (.exe installer), OS X (.dmg installer file), Android (.apk package), as well as a .love file for use with Love2D on any other platform can be downloaded below. To compile from source under Windows, simply drag the src directory onto Love.exe version 0.10.2. For more information on LÖVE, visit love2d.org. NOTE: Since v20 the game works on Android with touch controls. Just download the .apk file below using the browser on your Android device and then click "open" once the download is finished. If Android asks about completing the action, select "Package installer." 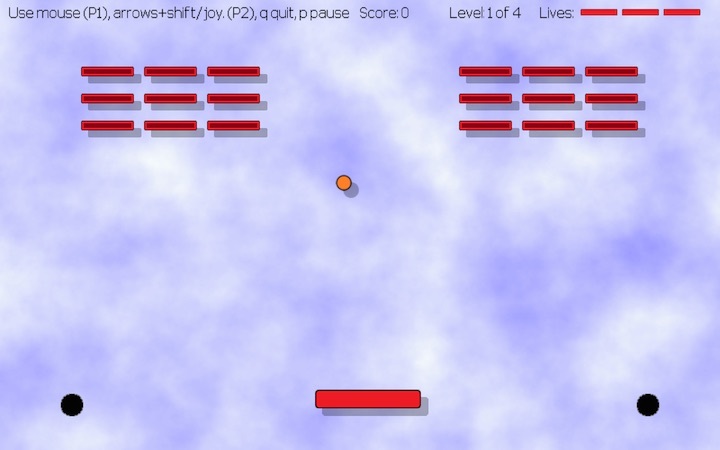 This is a version of the classic brick-breaking game written by Arne Schwettmann in LUA, making use of the LÖVE game framework. It is written for LÖVE 0.10.2. Pre-compiled executables for Windows and OSX are in the bin directory. To compile from source under Windows, simply drag the src directory onto Love.exe version 0.10.2. For more information on LÖVE, visit love2d.org. 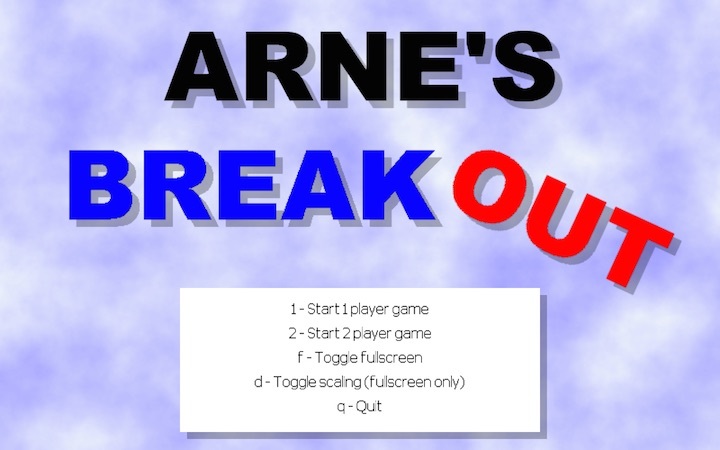 This is a version of the classic brick-breaking game written by Arne Schwettmann in LUA, making use of the LÖVE game framework. It is written for LÖVE 0.8.0. Pre-compiled executables for Windows and OSX are in the bin directory. To compile from source under Windows, simply drag the src directory onto Love.exe version 0.8.0. For more information on LÖVE, visit love2d.org.